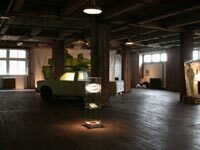 Mission Statement Gallery HQ emerged as an installation/exhibition space born out of the vision to provide a conducive and stimulating working environment for both emerging and established contemporary artists. 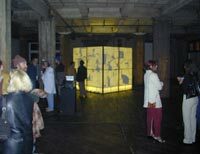 The space is specifically designed to accommodate both on-site building and exhibition space requirements in order for artists to investigate and pursue the full extent of their own unique vision. between medias, genres, and accepted expectations and by hosting a diverse and open learning environment for all who wish to explore the breadth and depth of their creative pursuits.